I have been enjoying going through the old maps in the Robert Mills 1825 Atlas of South Carolina. However, last weekend’s photo trek to Old Pickens Court House brought out some problems with relying solely on Mills’ maps to find ghost towns. The maps are too early to catch many towns that developed after 1825, only to fade away by the time of the Great Depression. Never fear, though. There are other online resources that can cover later time periods. I was talking with my brother Houston sometime back about my Ghost Towns project, and he suggested that in addition to using the GNIS historical data, we should look at old maps of the state to see what towns might have been listed. 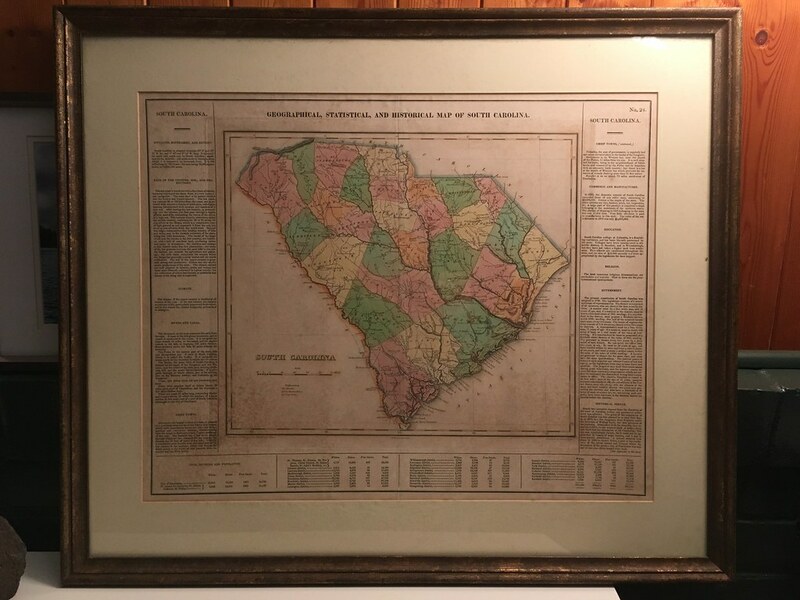 I agreed that it was an excellent idea, so I set off in search of the one resource I knew would have everything we wanted – Robert Mills‘ 1825 Atlas of South Carolina. A native of Charleston, Robert Mills was the quintessential Renaissance Man, along the same lines Thomas Jefferson. Mills studied architecture first in Charleston, then later in Philadelphia. Anyone familiar with South Carolina history is aware of Mill’s contributions to South Carolina – the many court houses and civic buildings designed by him. Perhaps, though, he is most famous for his designs for buildings in Washington, D. C., including the Washington Monument. -from the Introduction to the 1839 reprint of the Mills Atlas. Every time one of Laura’s family visits from the West Coast we get the inevitable comment about there being a church on every corner. The comment is valid. Even as a native I’m surprised when I turn a corner to find a large Greek Revival structure I’d not spotted before – and that doesn’t even include the store-front churches that pop-up just about everywhere. So, I guess my friends here in the Pacific Northwest have the same reaction when I comment about there being a coffee shop on every corner. I’m stating the obvious. After all, this is the home of Starbucks. I have yet another location-based obsession, possibly even several more. First it was fire towers, then old schools, and lately it’s been ghost towns. You would think I’d have enough abandoned historic stuff to go traipsing about the countryside to photograph and document. But wait! There’s still more! While visiting Laurens County recently we stopped by Stomp Springs, and this past weekend we found the Shivar Springs bottling cisterns near Shelton in Fairfield County. That got me thinking about mineral springs, and where these might be located.